Maria G. Arias is the Principal of Arias Solutions, a consulting firm specializing in diversity and inclusion and multicultural initiatives. Ms. Arias has an extensive national network of business professionals in these areas. Ms. Arias recently was the first Vice President of Diversity and Inclusion for Comcast Corporation. In this role, she established the Corporate Diversity & Inclusion department which oversaw diversity and inclusion initiatives across Comcast Corporation, including Comcast Cable, NBCUniversal, Telemundo, and Comcast Spectra. She led the company to national recognition as 1st among Fortune’s Best Companies for Diversity, 1st among cable operators and programmers in industry benchmarking, and top rankings from DiversityInc, the Human Rights Commission, the National Organization for the Disabled, Latina Style, Black Enterprise, and numerous other inclusion awards. In addition to launching initiatives in Governance, Workforce, Procurement, Programming, Community Investment, Ms. Arias managed the company’s 40+ member Joint Diversity Advisory Council, comprised of national civil rights leaders and business executives, who serve as advisors to the company on diversity and inclusion. Prior to her diversity role, Ms. Arias served as Vice President of Operations for Comcast Cable’s Southern Colorado systems, where she led technical operations and alternative sales channels. She also held various leadership roles at Comcast Cable, including Vice President of Operations for Comcast’s West Division, Interim Vice President of Technical Operations for the West Division, and Interim General Manager for Comcast’s Colorado Mountain Area and Tucson, Arizona cable systems. 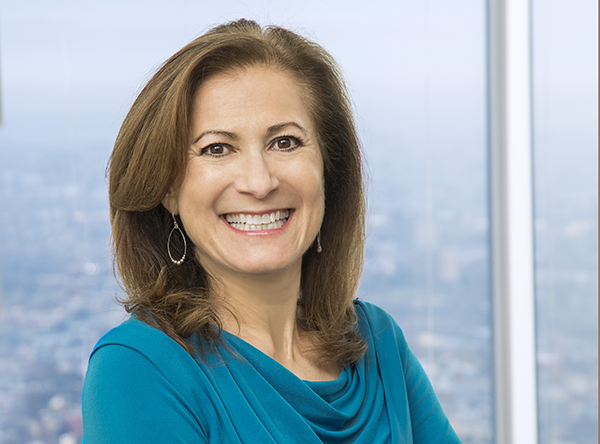 Before joining Comcast in 2007, Ms. Arias had leadership roles in law and government affairs at AT&T Corporation, AT&T Broadband, and Adelphia Communications. Earlier in her career, Ms. Arias was a partner with McDermott, Will & Emery, in Chicago, IL, specializing in litigation. Currently, Ms. Arias serves on the Boards of UnidosUS and ColorComm. Previously, Ms. Arias served on the Board of Directors for the Philadelphia Freedom Valley YMCA, the Board of Directors for Philadelphia’s Congreso Unidos Latinos, the Free Library of Philadelphia, Solera National Bank, Denver Hispanic Chamber of Commerce, Latin American Education Foundation, Rocky Mountain Women in Cable & Telecommunications, the National Association of Multicultural Ethnicities, and Junior Achievement of Southern Colorado. Ms. Arias participated in the Harvard Business School Cable Executive Marketing Management Program, and she holds a Juris Doctor from Northwestern University’s Pritzker School of Law, and a Bachelor’s degree in Political Science from DePaul University. Designed by The Little J Marketing Co.